Ms. Butterworth, formerly of Experian, goes by her middle name Evon (pronounced evan– yes, like a guy’s name). She joined Advantage Credit in October 2014, and is excited to share her thirteen years’ experience in the credit reporting industry with ‘Team Advantage’. Most recently she worked for six years as a Compliance Analyst, consulting with clients all over the country regarding the FCRA, GLB and compliance best practices. Prior to that stint, she put in five years as a Data Specialist, reviewing data reporter content for accuracy and potential fraud. 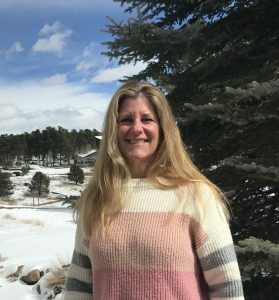 But her beginnings with the credit reporting industry were in the Learning Center, where she was involved with educating company employees on a variety of industry topics–experience she is looking forward to utilizing as the new Compliance Manager for Advantage Credit. Evon, whose first name is Susan, lives in Southern California with her son, their dog, and the occasional cat. She sculpts, refinishes furniture and reads in her spare time, and enjoys swimming and kayaking in the bay during the summer months. If you have a compliance question, please feel free to reach out to Evon as a resource. If she doesn’t know the answer, she’ll do her best to research it for you!